There are many different kinds of financial advisers, they offer a range of services at a range of prices, and not all of them act entirely in your best interests. Most people would never dream of trying to fix a broken arm or smashed-up car themselves, but deciding when to call in professional help and who to turn to isn't so clear cut when it comes to dealing with a financial plan that has been mangled by the economy. With things like low-fee online brokerages, tax-free savings accounts and exchange-traded funds, do-it-yourselfers have never had more investing choices. 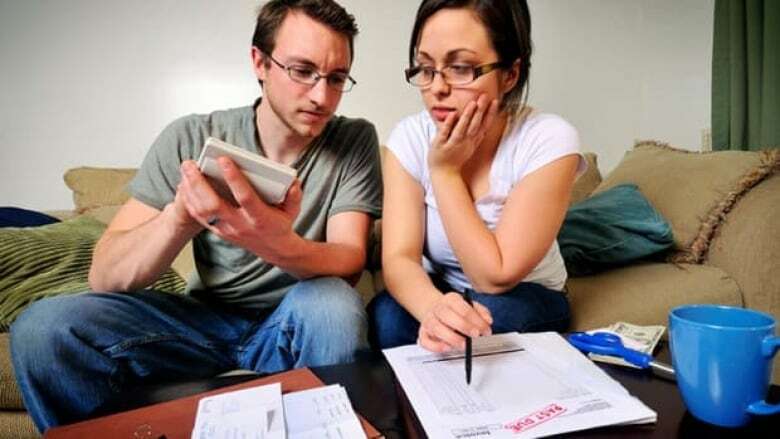 But the array of options comes with potential pitfalls and unexpected tax considerations that can undermine financial plans, so it has also never been easier for novices to get themselves into trouble. "People tend to overestimate their abilities with their finances," Judith Cane, head of Antara Group, says. The Ottawa financial planner has more than two decades of experience and sits on the board of Advocis, the group that represents the industry in Canada. "Sometimes it’s good to have an outsider come in to see the things you can’t." The problem for consumers is that there are many different kinds of financial advisers, and they offer a range of services at a range of prices. And not all of them act entirely in your best interests. "Many people who call themselves financial planners don’t provide any advice, they’re really just selling mutual funds to their clients," says Ermanno Pascutto, the executive director of the watchdog Canadian Foundation for Advancement of Investor Rights (FAIR). "They shouldn’t really be called advisers or planners or anything." There are as many as 100,000 people across the country who call themselves financial planners, consultants or advisers — but that’s not to say that they’re all doing the same type of work. On the whole, FAIR says Canadians aren’t well served by the mishmash of designations and the confusion it breeds. "The real problem is that people aren’t financially literate," Pascutto adds. Finance Minister Jim Flaherty seems to agree, which is why Ottawa is spearheading a task force trying to improve that. But in the interim, governments need to do more to protect Canadians, FAIR says. "The regulators really need to up their game and make sure the financial industry has a duty to act in the best interest of their clients," Pascutto says. "That’s not happening at the moment." The first step in deciding what sort of financial help you need is to figure out what you actually need help with. That sounds like a tautology, but many people think there’s a one-size-fits-all solution to finances. There isn't. If you’re interested in stock tips, for example, or getting somebody to sell you the right kind of insurance, or to help you consolidate your debt, your best bet is someone exclusively skilled in those areas, like an investment adviser, stock broker, credit counsellor, or insurance agent. As an analogy, Cane says a financial planner is like a family doctor. "They’re great at looking at the whole picture and can refer you to specialists, but you still need to go see an endocrinologist or oncologist for specific ailments." Whether the person calls themselves a financial planner, or an adviser, or goes by some other helpful-sounding title, the key is to know how they earn their living. More specifically, are they being paid solely for helping you come up with a sound fiscal plan, or are they also responsible for selling you specific investment products? "A lot of financial planners have grandiose titles on their business card, but many are no better than salesmen," says FAIR's Pascutto. If you find a planner who is right for your specific needs and isn't promoting specific financial products, "the appeal is that they have no vested interest in any door you choose," Cane adds. There’s no magic formula when choosing a financial planner, but two designations that specialize in developing broad financial plans are certified financial planner (CFP) and registered financial planner (RFP). That’s not to say that other designations such as CFA or TEP aren't as knowledgeable, but their expertise is typically geared towards very specific aspects of one’s financial life. CFPs and RFPs are regulated by the Financial Planning Standards Council and the Institute of Advanced Financial Planners, respectively, and can theoretically lose their licences for unethical behaviour. But at the same time, both are legally allowed to sell products, and as such could be biased towards a product that benefits them more than you in terms of fees. Figuring out potential conflicts of interest in the sometimes murky financial industry is not always easy. It pays to ask some questions about the person you're dealing with, not matter what licences they hold. And above all, get it in writing. "As part of your financial planning agreement, the financial planner should clearly tell you in writing how she will be paid for the services to be provided," the group that certifies CFPs says. Generally, financial planners get paid in one of two ways. Some earn commissions on the products you end up buying. Others work on a fee-based model where the customer pays an hourly rate for unbiased opinions, and the planner has no financial incentive to steer them one way or the other. The Certified Financial Planner Board of Standards Inc. owns the rights to use the CFP designation in Canada. It offers a helpful checklist on its website that lists some questions to ask before signing up with a planner. It suggests asking about the person’s experience, their qualifications, how they get paid, and whether they’ve ever been disciplined for malfeasance. Some planners who promote themselves as being fee-based have a partnership, or share office space, with a much larger firm that sells financial products. "There’s nothing necessarily wrong with that, but I think if you want real fee-based advice you need to stay away from that sort of arrangement," Cane says. "If somebody tells you they’ll waive the fees if you put money in this or that investment, I think you generally get what you pay for," she adds. In most cases, Cane says, the fee a financial planner might charge for their services is quickly made up in tax savings or other gains that are found when someone knowledgeable fine-tunes the financial course you’re on. Ultimately, everyone’s experience with a professional financial advice will be different, but the customer who goes into the process armed with the knowledge of how the expert across the table gets paid is going to get the most out of the relationship. "Our perspective is that when people pay fees for a service, they are entitled to know what they are paying for, and they’re entitled to get some sort of service for that," Pascutto says. "We think we have a long way to go [in Canada] before that’s happening." In the meantime, it's prudent to take a buyer beware approach to financial planning and advice by doing your homework before choosing who to deal with. Here are five basic things that can help you evaluate a potential financial adviser. 1. Plan ahead: The first step is often to decide what sort of financial strategy you need. Are you a saver? A buy-and-hold investor? Are you willing to roll the dice a little? Picking an adviser who is among the best in long-term thinking might not be ideally suited for your daytrading needs, for example. So figure out what your ultimate goal is, and work with someone who can demonstrate that they've got the expertise to help you reach that goal. 2. Ask around: Friends and family can be a great first step to finding a reliable source of financial advice. Ask around and see if anyone in your circle has an adviser they’d recommend, or tips to share. Hearing about a bad experience and what went wrong can hone your decision-making skills and help you figure out what questions to ask a potential adviser when sounding them out. 3. Get personal: Whatever you do, make sure you meet with the person face to face before making any sort of arrangement. Remember, the adviser is going to need to have very intimate knowledge of your finances, personal activities and goals, and you must be comfortable providing them with that information. 4. Follow the money: There are a number of ways that advisers get paid, and it pays (literally) to know which method yours uses. The most common is the commission-based model where the adviser gets paid a fee by the financial companies that make the products he or she sells. That’s great in principle (since the customer never has to pay directly for the service), but critics point out that it poses an inherent conflict of interest. Certain financial products pay higher commissions than others, which gives the adviser a higher incentive to move you in that direction – whether it’s a good idea for your financial plan or not. That’s led a movement toward other types of payment plans, where compensation is more up front. Higher net worth clients often like the asset-based model, where you pay an adviser a certain percentage of your entire portfolio, so the payment grows as the portfolio grows. That gives both parties an incentive to make the portfolio increase in value. Smaller investors might like a simple fee-based planner that charges by the hour. The cost shouldn’t be much more than about $100 or so an hour, and less and less time will likely be needed once the financial plan has been worked out and set up — perhaps nothing more than a checkup here and there throughout the year. 5. Beware the alphabet soup: From CIM, to CFA, to TEP and even RHU, there’s a dizzying array of letters signifying credentials for financial professionals. But experts say the two types that most consumers should look for are either CFP or RFP. Those stand for certified financial planner and registered financial planner. The latter is generally for more advanced investors, but they share the common trait of not actually selling any financial products. A good financial planner's role is to guide your savings and investment strategy, not sell you individual products.